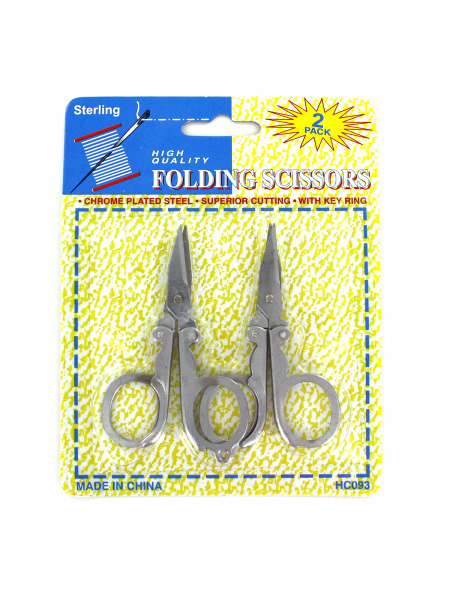 A sewing kit must-have, this 2-piece Folding Scissors Set features small metal scissors with key ring attachments. 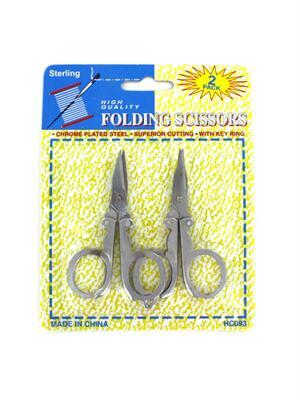 When open, scissors measure 3 1/4" x 2". When folded, scissors measure 1 7/8" x 7/8". Comes packaged in a blister pack.